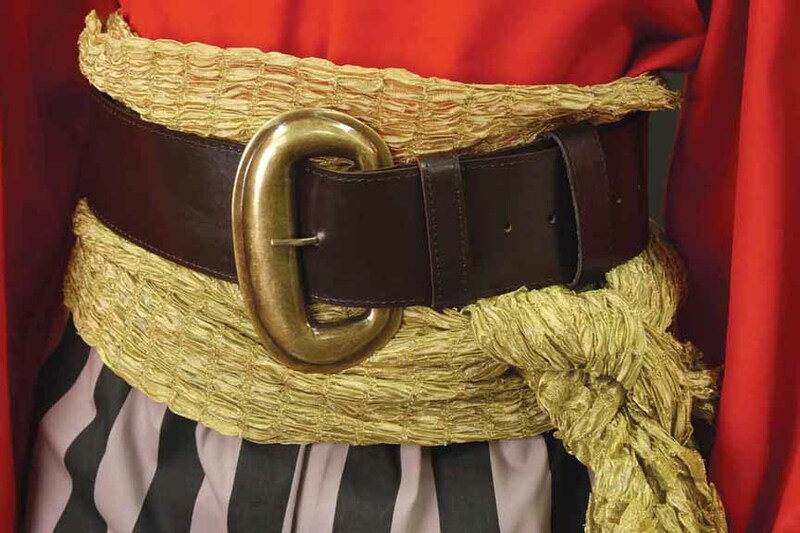 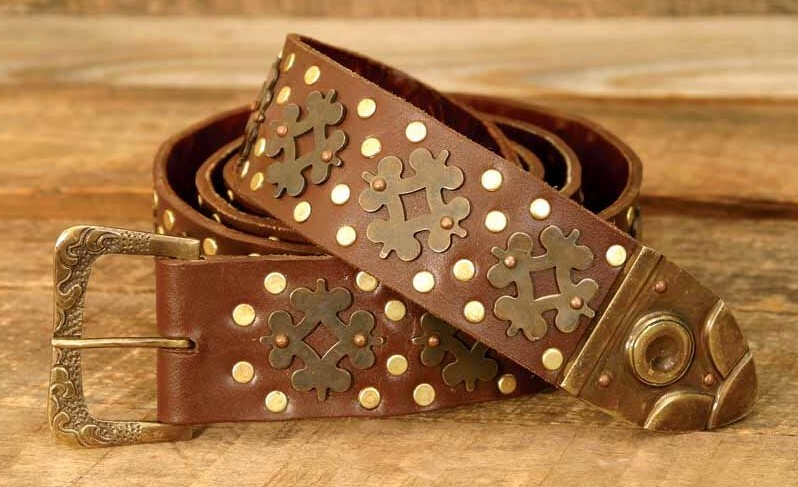 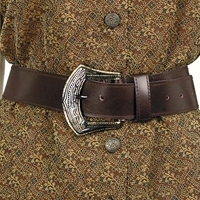 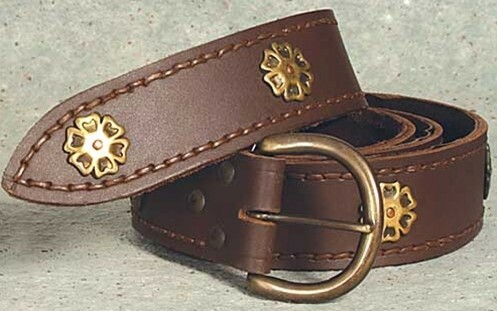 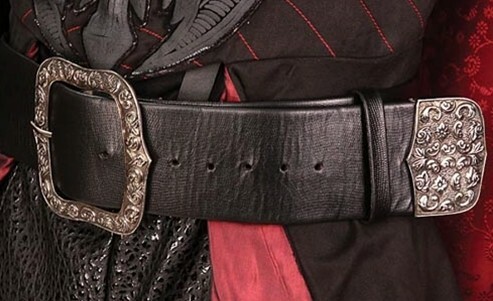 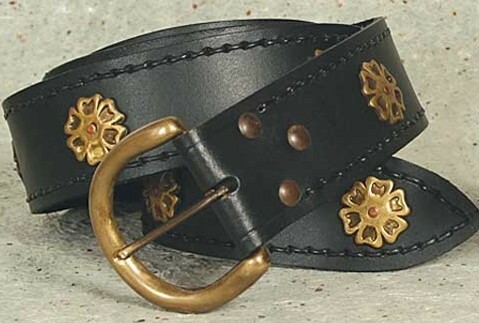 Shop here for quality leather & metal belts with historically accurate details that add a finishing touch of authenticity to your Ren Faire garb--be ye wench or pirate, reenactor or LARP, peasant or noble. 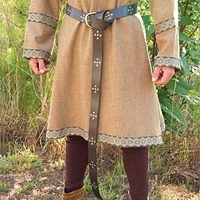 Cross-shoulder sword belt fits most swords with scabbards. 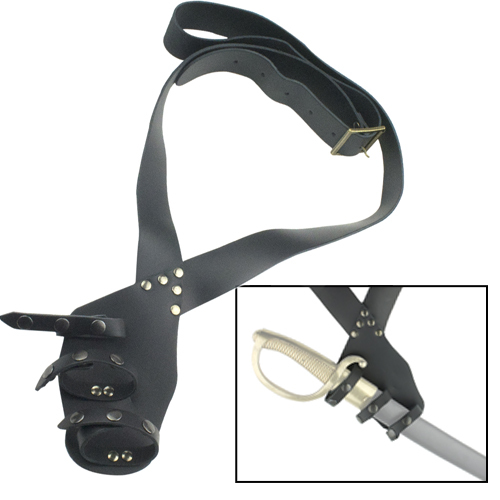 Adjustable leather straps snap closed to secure the scabbard, leaving your sword free to draw.